This 4' Adjustable Table is a folding almond table that can be adjusted to the children's height of 22", table height of 29" and counter-top height of 36". 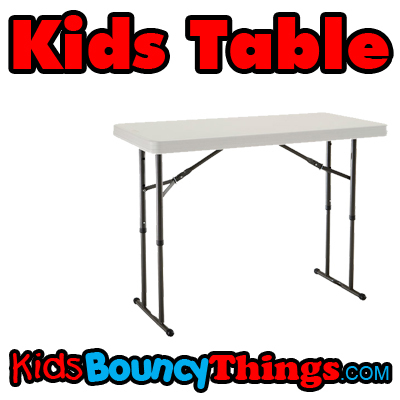 Children can use the Lifetime 4-foot Adjustable Table for arts and crafts, tea parties and more. It can also be used indoors and outdoors. What is a party without somewhere to sit. Don't worry we have you covered.